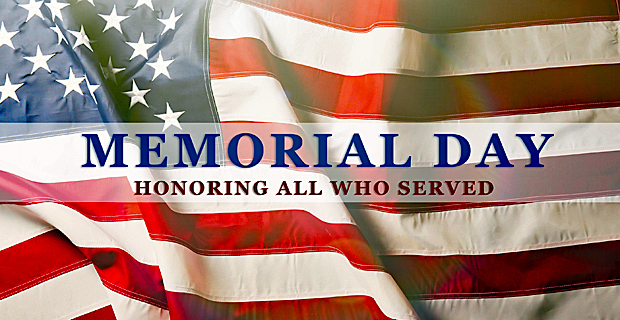 Memorial Day is a day in which we remember and honor all the men and women who died while actively serving in the U.S. military. It is observed on the last Monday in May. Many Memorial Day parades are held in local communities. This holiday also marks the unofficial start of summer. Here are some Memorial Day happenings in the New Jersey area. Also check our calendar for more Memorial Day Events. Celebrate the sea services during Fleet Week New York. Come meet Sailors, Marines and Coast Guardsmen, tour ships, watch performances and more. Check for schedule and locations. Watch the parade of ships on the Hudson River aboard the Intrepid Museum. Catch “Top Gun” on the flight deck on May 25th. Join in special programs and performances. Explore history, science, service and tributes. Tropicana’s Multimedia Light and Sound Show begins on Memorial Day weekend this year. This free show continues each Saturday throughout the summer and features an incredible fireworks display and music. This popular event happens on the boardwalk and was called “Times Square meets Boardwalk” by ABC News Philadelphia. This is a must see event. 705 Evergreen Ave, Bradley Beach, NJ. This popular Memorial Day weekend event includes food vendors, crafters, a kids jumping house, rides and more. There are over 15 food vendors and plenty of fun for children and adults. 2018 theme of “Passing The Torch: Teach, Encourage, Support!” - African American Heritage Festival with carnival rides, balloons, pony rides, celebrities, vendors, live entertainment and much more! FREE to spectators. North America Kite Festival featuring kite makers from around the world! Festivities follow with the opening of the kite sales tent and the Friday night 9 p.m. illuminated kite fly. Kite flying on the beach Saturday and Sunday, as well as kite workshops and family games. World Indoor Kite Competition on Monday. Join Resorts as they kick off the summer with their annual Beach Ball Drop. Local radio station WMMR will be broadcasting live. The event also features contest, games, strolling entertainers, giveaways and more. The Ball Drop occurs on Friday and has over 5,000 beach balls drop over the boardwalk at 5pm. Saturday will host the Village People in concert and on Sunday, there will be fireworks at LandShark Bar and Grill at 9pm. 8th St to 5th St, Ocean City, NJ. Join Ocean City for their 6th Annual Memorial Beach Challenge. There will be fun for all ages. The Kids Fun Run is designed to allow children to be a part of the day’s fun in celebration of heroes and their families. The course features many safe obstacles that are appropriate for ages 5 and up. The adult obstacle challenge uses Navy SEAL inspired obstacles that is a test of strength and mental toughness. Celebrate Memorial Day and kick off the summer at the annual Jersey Shore Food Truck Festival. The event features 45 trucks, live music and more. Clowns, face painters, pony rides and a bounce house will be at the Racetrack on Saturday and Sunday for free Family Fun Days. Nolan Park, Governors Island, NY. FREE. Celebrate Governors Island with the outdoor Family Fun Day Festival. Featuring live music, theatrical performances, storytelling, arts and crafts, educational workshops, ice cream, and a build-your-own playground. This free Memorial Day event will take place at Centennial Park. Bring a beach chair and/or blanket and celebrate the beginning of summer. Chatterband will be playing music for all to enjoy. They start off the summer concert series that lasts until September 22nd. The concerts will be on alternating Wednesdays and Saturdays. The Music Series includes 24 concerts in all.